It’s finally Friday! So much is happening for #GreenWeek and you will want to pace yourself. 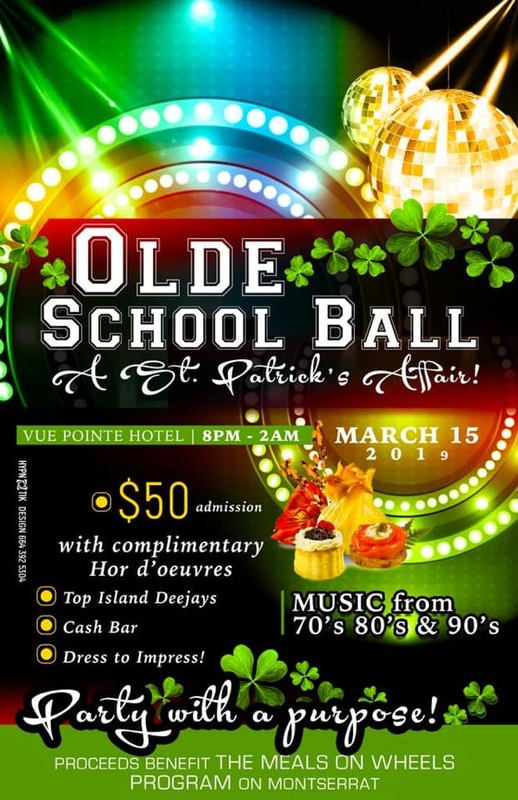 Hope you’ve got your ticket and your outfit for the Olde School Ball tonight to support Meals on Wheels. This is the fourth installment of this event and it promises to be bigger than ever. Butler, who volunteers to deliver the meals to the elderly and indigent with the local charity, said this year’s goal is to raise EC$20,000. Meals on Wheels delivers more than 20,000 meals a year on island. Members of the programme are provided with one warm meal per day, every day. “We have raised about $20,000 with the last three events,” she shared. This will be the third St. Patrick’s Festival for this party. The other ball was held in Christmas 2017. There is still time to grab a ticket. Reach out to Oslyn to reserve one for $50. Party kicks off at 8PM at the Vue Pointe Hotel in Old Town with live pan music. Three DJs will rotate music for the rest of the party which runs until 2PM. Tickets available at Ashoks, Tradewinds Real Estate, Johnny Mecca orr pay $50 EC $20 US £20 at the door.